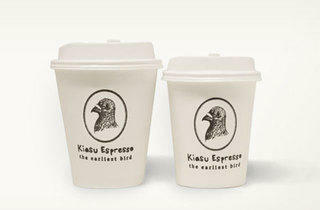 40 Hands chief barista Harry Grover goes back to basics with Kiasu Espresso. Set up just next door to Skinny Pizza at 100AM on Tanjong Pagar Road (both venues are part of the Spa Esprit group), this tiny takeaway joint was christened after Grover’s favourite Singlish word (‘I love it, there’s no single word in the English language that’s an equivalent of the word,’ he says) and his observation of the aggressive kiasu-like growth of the local coffee scene (which Grover describes as ‘zero to hero’) since the opening of his Tiong Bahru-area pioneer 40 Hands in 2010. 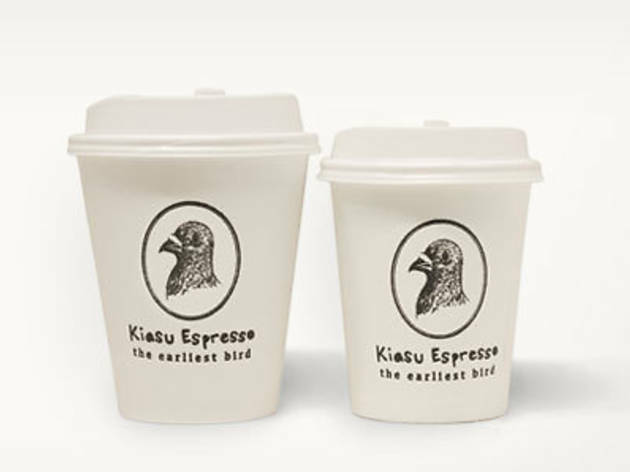 The keyword here is approachable – there are standard pours such as espresso ($3.50), latte (from $4.80) and cappuccino (from $5) – all featuring the venue’s proprietary blend of Ethiopian, Sumatran and Columbian beans made by Grover’s favourite 5 Senses from Western Australia. The full-bodied brew has a hint of dark cocoa and cherries; it’s also offered in two speciality drinks – the gingerbread latte with star anise ($6), a liquorice-tinged creamy drinker that’s like dessert in a glass, and the sparkling long black ($5) that’s a climate-friendly, sourish mixture of sparkling water and black coffee.